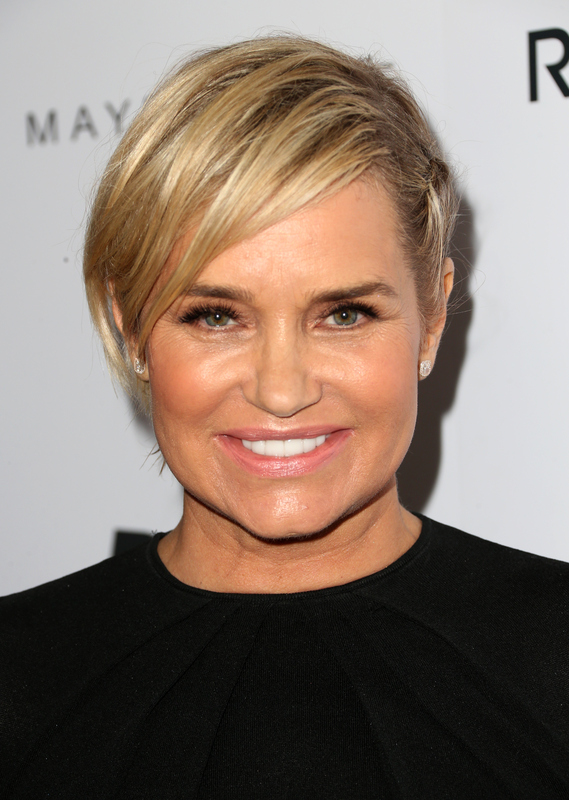 It's no secret that Yolanda Hadid is insanely wealthy. That's obviously a prerequisite to being a cast member on the show Real Housewives of Beverly Hills, but Yolanda really lives up the part. She is not the kind of person who has to check the price tags on anything before swiping her credit card. From the medical treatments for her Lyme Disease to the condo that she lives in to her designer clothes, Yolanda spends a lot of money on a lot of things. But what's the most outrageous thing Yolanda has spent her money on? If you watch RHOBH, you know that there is one obvious answer: that fridge. Yolanda's fridge was far from the typical kitchen appliance. That fridge was the stuff of legends. It even has its own Twitter account and a fan base of followers. When the refridgerator initially appeared on Real Housewives of Beverly Hills, it really cemented Yolanda's status as a cast member just because it was such a unique thing to have. It made viewers see just how wealthy and unique she really is. The fridge was giant, had all glass doors, and everything inside was sorted neatly on shelves. It was like a tourist destination with the way it was preserved like a museum exhibit. People even took photos in it because it was that legendary. If you watched the Real Housewives of Beverly Hills finale this season, you saw that Yolanda even said goodbye to the fridge when she was moving out of her old house. And you know what, I don't blame her. That fridge is amazing. Here's why. With its own subtitle, it is basically a cast member on RHOBH, right? Many people have had impromptu photo shoots inside the legendary fridge. Seeing Gigi transform from Yolanda's daughter into one of the biggest supermodels in the world had to have been emotional for the fridge. Gigi has been photographed getting her makeup done in front of the iconic fridge plenty of times. You know you've made it when there are memes about you — even if you are just a kitchen appliance. My fridge is almost never clean, yet this giant fridge looks amazing, neat, and organized all the time. I'm sure Yolanda has spent a lot of time and money on fridge maintenance. Yolanda did what she could to make sure the fridge was in good condition. It is definitely a purchase that she cared about. People can actually spend time inside this fridge which is pretty amazing. The giant fridge may have been an outrageous purchase, but it was so worth having. I just don't know how Yolanda is able to live without it in her new home. I don't know anyone could go back to a normal one after that.